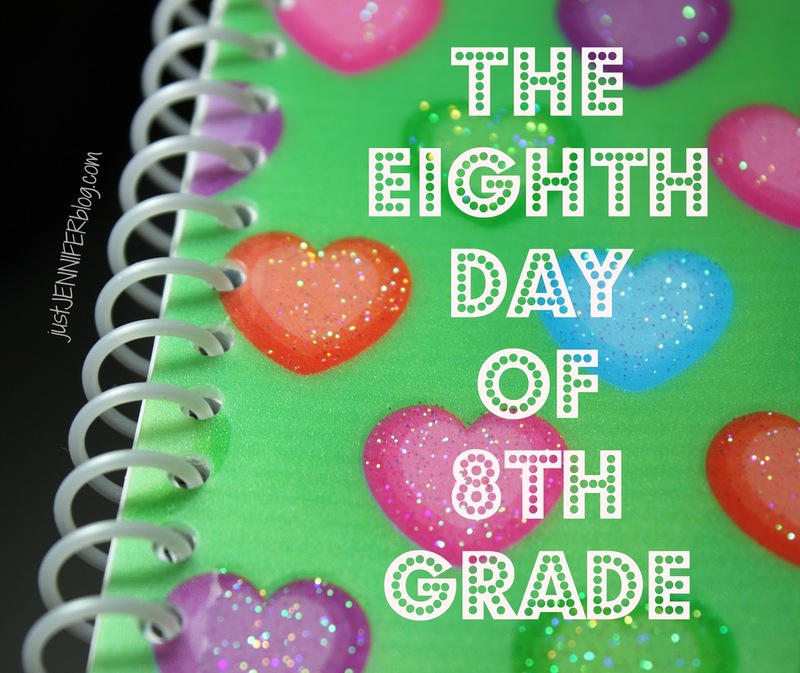 This is my daughter's final year of middle school. Next year is HIGH SCHOOL. But wait! THIS school year JUST started. Watching my daughter grow up is one of the most amazing things. There is a picture of her in PreK in yesterday's post. 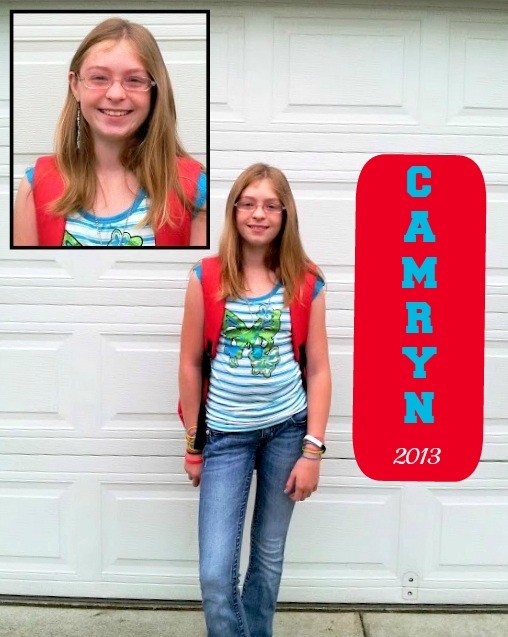 It's so hard to reconcile that little girl with the teenager Camryn is today. She's hiding a croissant behind her leg, in her right hand.